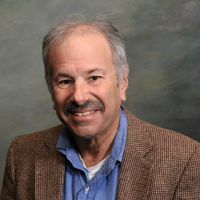 Richard Segal, Ph.D., is a professor of Pharmaceutical Outcomes & Policy at the University of Florida College of Pharmacy. He also holds faculty appointments in the college’s Department of Pharmacotherapy and Translational Research, and in the UF College of Public Health and Health Professions. His research interests include disease management and outcomes research particularly in the areas of drug prescribing, pharmaceutical care, and medication therapy management. Segal is widely recognized for his work in explaining why clinical practice is so often inconsistent with evidence-based best practices. His research in the area of changing prescribing behavior has been the basis of prescribing interventions throughout the world. Segal was Co-PI on the first major research project focused on training community pharmacists to identify and prevent drug related problems which contribute to preventable drug related morbidity called Therapeutic Outcomes Monitoring (TOM). Their research has helped to shape many medication therapy management interventions used by Medicare Part D prescription drug plans. Segal has extensive experience statewide Medicaid and with the Florida Department of Health in data analysis and studying the impact of interventions such as formulary changes, physician profiling, and provider/patient education. He also works closely with technology changes such as bar code medication administration, the College of Pharmacy’s MTM Communication and Call Center, and is seeing ways to improve patient participation rate in MTM services and also in improving physician’s acceptance of drug therapy recommendations. Segal is also collaborating on a series of initiatives with Professor Folake Odedina in addressing health disparities in prostate cancer.